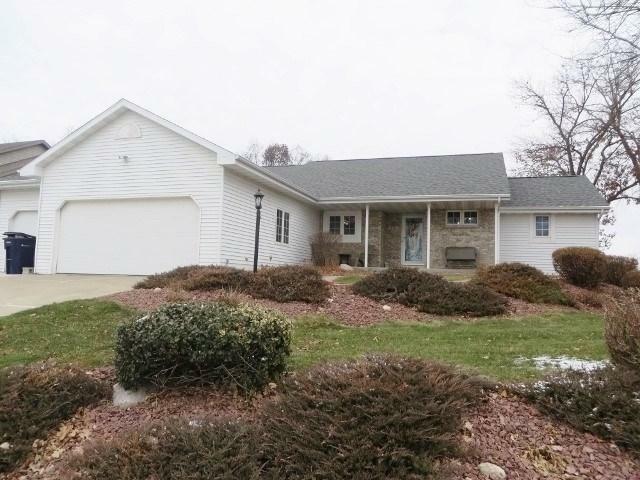 3741 Briar Crest Dr, Janesville, WI 53546 (#1845829) :: Nicole Charles & Associates, Inc.
Beautiful, 4 bedroom home on gorgeous greenbelt lot. Updated kitchen with granite tops, stainless appliances, updated flooring and open floor plan. Hardwood flooring, vaulted ceilings, gas burning fire place, lots of windows and a cozy sun room for viewing the greenbelt. Convenient 1st floor laundry. Master suite has large walk-in closet and updated bath that includes tiled walk-in shower & double vanity with granite tops. Three car heated garage w/ entry to the LL. Lower Level rec room offers extra entertaining space. Irrigation system included for the beautifully landscaped lawn.